SMILING THROUGH THE PAIN: Paula Abdul maintains a positive attitude throughout her battle with chronic pain caused by RSD. Pop icon, Paula Abdul, opens up about her daily struggle with Reflex Sympathetic Dystrophy. Mediaplanet: What is RSD and how does it manifest itself? How would you describe RSD? Paula Abdul: RSD stands for “Reflex Sympathetic Dystrophy.” It’s also known as complex regional pain syndrome (CRPS). Basically, it is a disorder of the sympathetic nervous system characterized by chronic, severe pain. MP: How has it impacted your life as a whole? PA: If anything, my experience with RSD has made me empathetic and sympathetic with anyone suffering with any kind of nerve-related disorder, or with any brain, spinal chord or neurological disorder. It has made me appreciate how amazing the human body is. The body does not give up on us, so we can’t give up on it. My goal is always to work with my body, not against it, so that it can function efficiently. I’ve also made specific changes with my nutrition. I make a point of eating alkaline foods and drinking lots alkaline water. There are so many foods that can actually add to the pain and create inflammation in my body, so I eat mindfully. I make conscious choices about my food, so I don’t aggravate the situation. I keep sugary foods to a minimum, and I avoid foods that are too acidic. MP: What are the daily challenges of living with RSD? 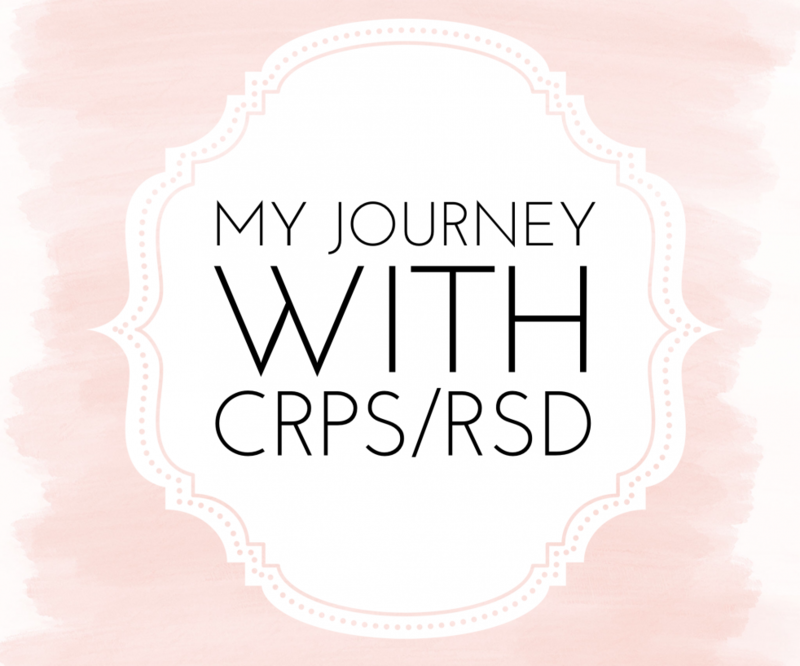 PA: Enduring the pain and trying to keep it from affecting your personal and professional life, trying to deal with your emotions when you’re in that kind of pain, I’d say those are just a couple of the countless daily challenges of living with RSD. Life doesn’t stop for pain or anything else. There is always work to be done and deadlines to be met. Getting on with the business at hand, and not letting it affect work is another big challenge. MP: Was it difficult to receive a diagnosis? PA: Yes, it was extremely difficult. One of the biggest challenges in my life, actually. It’s sad that there’s such a lack of knowledge about RSD in the medical community. I had to see so many doctors before I was finally accurately diagnosed with RSD. I know I’m not alone in my experience — so many people are told, “It’s all in your head,” and are actually dismissed as needing psychiatric care. Then, when people finally do find a doctor who knows about RSD, their pain is treated with prescriptions of strong medications with side effects that can really take a toll on the body. MP: How important was it to get that diagnosis? PA: It was crucial. I’d seen so many doctors, and had so many surgeries and procedures, and still no one could tell me what was happening. I did not want to keep putting my body through that kind of trauma. I had to find the right answer. MP: What has helped you cope with the symptoms and challenges of RSD? PA: There have been wonderful people who have been there for me, and who have supported me. Dr. Victor Pedro has been a godsend in helping me cope with the symptoms of RSD. The truth is, my journey with RSD would’ve been a lot shorter if I’d known about his Cortical Integrative Therapy sooner. According to Dr. Pedro, “Cortical Integrative Therapy is a treatment that stimulates the cerebral cortex through a combination of non-invasive therapies that stimulates brain cells to increase their efficiency. This promotes the formation of pathways that help transfer information throughout the brain in such a way that, in the end, the affected area of the brain and overall brain function are improved without medication or surgery.” Also, I don’t know what I’d do without Dr. Daniel Wallace — he has been my long-time doctor in Los Angeles, and a true angel in my life. He has helped me so much in dealing with the challenges of RSD. MP: What kind of support did you receive? What support do you wish you had, but didn’t receive? PA: In addition to the care I was getting from my doctors, I received loving support from my friends and family — they are truly my lifeline. I’m grateful that they have been there for me during some of the darkest times, when the pain was at its worst and seemed like it would never stop. I felt bad for them because there were times when they desperately wanted to help, but they just didn’t know what to do for me. I wish I’d had Cortical Integrative Therapy when I first discovered I had RSD, and I wish Dr. Pedro had been a part of my support system then like he is now. The treatment replaces the old tapes in your head that have held onto the tapes of pain. It helps your brain to allow for new experiences and new memories that don’t involve pain. Think of it in terms of a computer — you’re deleting old files so you can free up more space. I didn’t find out about Cortical Integrative Therapy until recently, and it has proved to be a life-changing treatment for my RSD. MP: What advice would you give to anyone who suffers from chronic, debilitating symptoms/diseases? PA: Keep people in your inner circle abreast of what’s going on with your health. Let them know what chronic pain entails, what changes happen, etc. It’s so helpful to have trained health professionals who can talk with your family and friends so that everyone is on same page about your condition and treatment; and so you’re not misunderstood and you don’t feel alone. One of the most important lessons I learned is that as people dealing with chronic pain, we should not be the ones explaining. Of course, we can share our experiences, but give yourself a break! Let a professional, who can articulate what’s happening, explain what’s going on. You’re not responsible for that. Being in chronic pain is a full-time job itself! There is complete transparency with the important people in my life, and they have a clear understanding of what’s going on — not just because I’m trying to articulate it, but because my doctors help to point out what’s happening to my inner circle. Next Post Strong Enough To Fight!